OLD PARKED CARS. 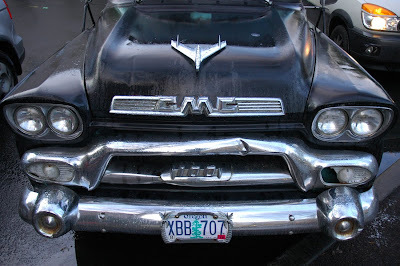 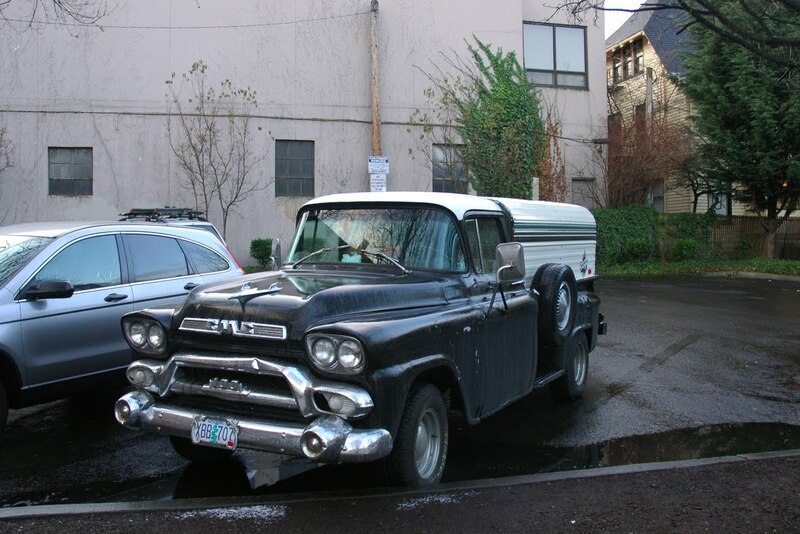 : 1959 GMC 100 Pickup. 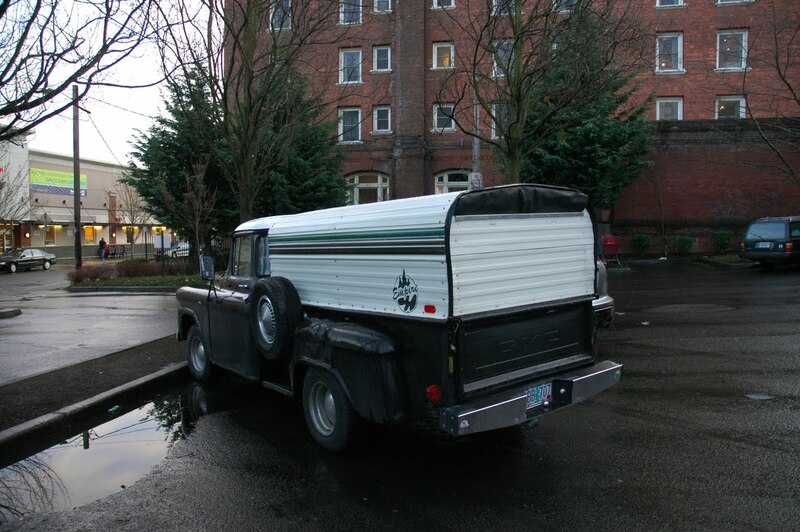 I had one of these in Colbalt Blue (sans camper shell). 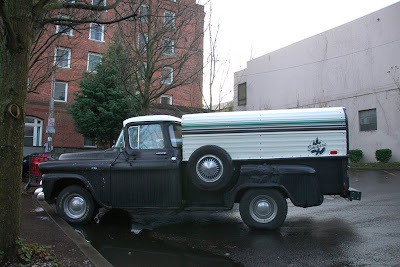 It was a beautiful truck. That grill shot is absolutely awesome.